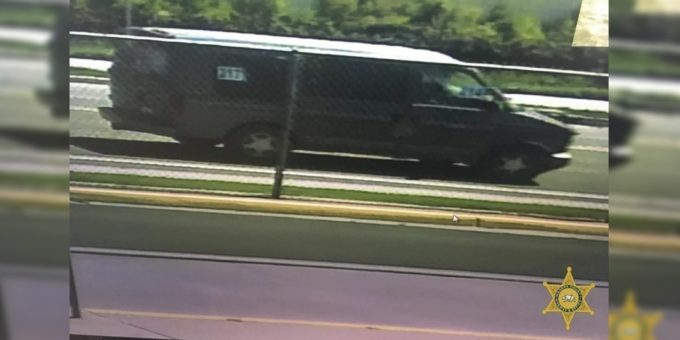 Madera CA-On April 2nd, 2019, an unknown male subject driving a dark-colored, possibly grey late 90s or early 2000’s model Chevy Astro style van, picked up a teenage female juvenile in the City of Madera. The male subject then drove the juvenile to a rural area of the county after telling the victim she would be paid to sell fruit at a corner fruit stand. Once in the area, the male subject told the female that he had a gun and forced her to undress, after threatening to kill her and her family. The male subject then raped the juvenile at three different locations in the area. The female did not actually see a firearm on the male subject, or around the vehicle, but she did see a machete on the floor of the vehicle. The male subject was described as a large, dark complected, Hispanic male in his 20’s, with a shaved head and no facial hair. The male subject was wearing khaki pants, black boots and a red shirt with small blue lettering over the right chest area. If you have any information regarding this incident, or the possible whereabouts of the vehicle or suspect described above, please contact the Madera County Sheriff’s Office Communications Center at (559) 675-7770.